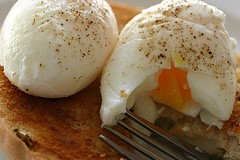 “The Poached Egg” is an apologetics blog run by Greg West. He is passionately committed to the cause of Christian apologetics; providing an adequate and reasonable defense of the Christian faith. His is a great hub of articles gathered from across the Internet. Scholars and laymen come together under this one site (full disclosure: my articles have appeared here before). Because this blog is a mix of original articles and other content, there’s almost nothing this blog does not cover in terms of resources. The layout is pretty friendly and there’s a wealth of information to be found there. Certain topics up now include “Did Jesus Exist?,” whether or not God is a monster, the universe and self-creation, a brief case for Christianity, new book releases in the field, and much more! With so many resources and so much content, I think you’ll be pleasantly surprised by visiting “The Poached Egg.” Especially if you’re new to apologetics, this can be a one-stop shop to finding resources you may not have even been aware of before. Even if you’re an apologetics veteran, there are links to scholarly and new content constantly. Check it out!